For the latest installment in their weekly remix series the production team consisting of twin brothers Steve and Steven, collectively known as Urban Noize, took their turn at flipping Sri Lankan femcee and Roc Nation management's newest signee M.I.A. 's empowering single "Bad Girls" off her forthcoming album. The Florida duo's rework replaces the original song's worldbeat sound with a sample of an orchestral arrangement of composer Clint Mansell's"Lux Aeterna", the penultimate piece in the score from Darren Aronofsky's chilling film Requiem for a Dream. The pairing of orchestral strings and edgy snare rolls gives the track a hauntingly eerie quality which stands is contrast to the original and makes the remix all the more enjoyable. Loving the Requiem for a Dream sample! LOVING THE REQUIEM FOR A DREAM SAMPLE!!!! 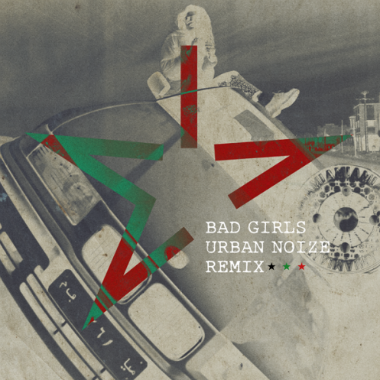 Urban Noize deal a dope remix of Lana Del Rey's "Florida Kilos"
M.I.A. releases controversial new video "Double Bubble Trouble"